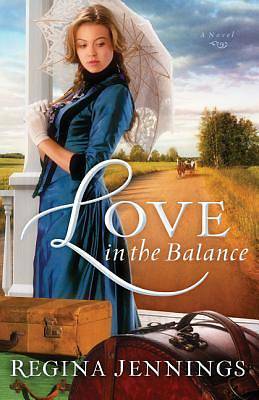 Molly Lovelace dreams of being a society leader in 1878 Lockhart, Texas, but being smitten with handsome wrangler Bailey Garner doesn't seem the quickest route. If only he would settle down so he could support a family. Bailey imagines doing great things for God, but his biggest issue is Molly. As long as he thought they'd be married, he excused their stolen kisses, but when she keeps refusing, he vows to earn her love. In town, he tries his hand at several different trades, but everywhere he turns he runs into the mysterious stranger Edward Pierrepont. No surprise that Molly's always making calf eyes at the wealthy adventurer. One large fight and some crossed wires later, Molly is prepared to swear off Bailey forever, especially since Pierrepont seems to be hinting at marriage--only he's also about to leave Lockhart. Forced to choose, Molly leaps at the security wealthy Pierrepont can provide, but a slapdash elopement soon proves problematic when the man is more than he appears. Did Molly ruin her chance at happiness and love forever?